SRL-Z series PVC Mixer units are widely used in mixing, drying, coloring for all kinds of resin such as PVC, PP, PE. PVC mixer can also be applied in dryness of ABS, polycarbonate, and mixing hydroxybenzene, Alde Hyde resin. 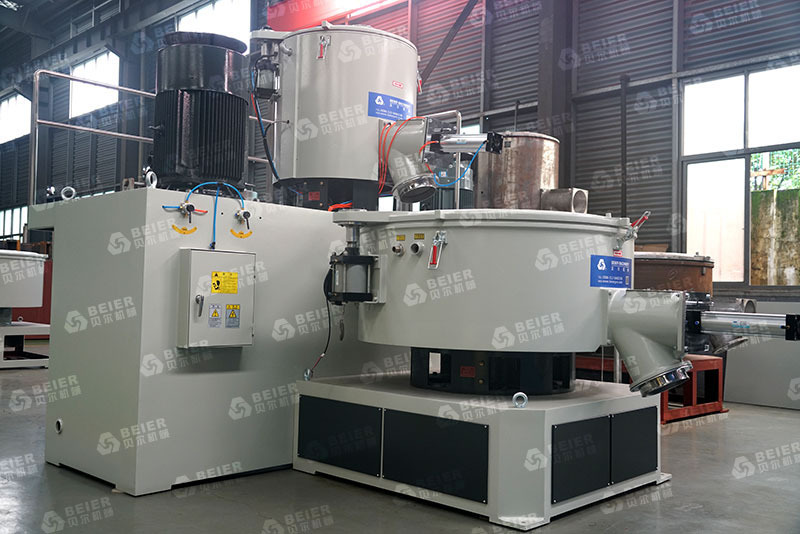 This PVC mixer unit is composed of one hot mixing pot and one cooling pot, the materials from hot mixer will be filled into the cooling mixer automatically, so it and eliminate humidity, and protect from agglomeration.